This is so India and a shot I would never dare to take there. Thank you for posting this one. Kunal I love this one! Besides all the paradoxes of India, I like it for the pardoxical nature of the structure and material. The light mosquito net surrounded by spiky steel. @ michael: yup, very characteristic. i too sometimes hitch while taking shots; its difficult to draw a line about and understand when we end up infringing upon someone's privacy just for a photograph. and thanks! 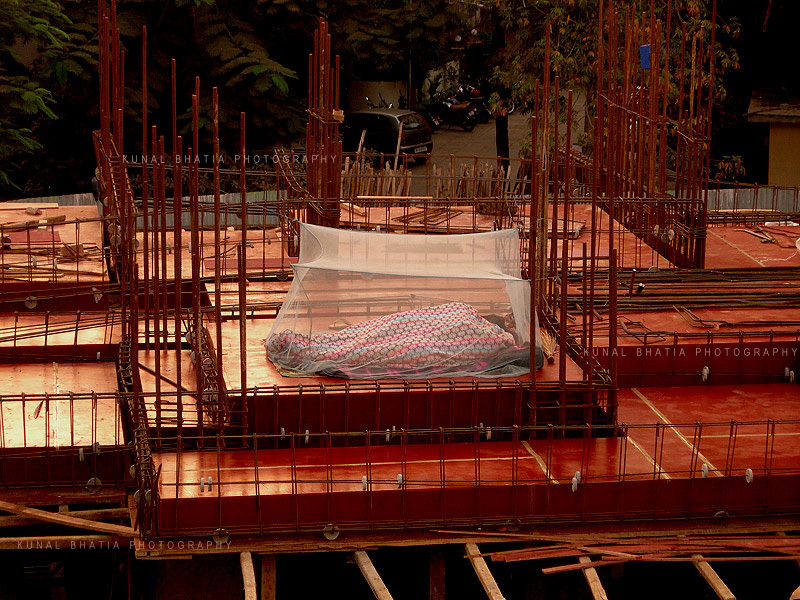 liked this one.was imagining how tired those people would be after a long day's work,to sleep like this,not bothered about having a roof over their heads.very much india,and i love it.